English miniaturist of French origin, the son of a refugee Huguenot goldsmith who settled in England in 1568. He trained under Hilliard (whose main rival he later became) and by 1590 was established in his own practice. 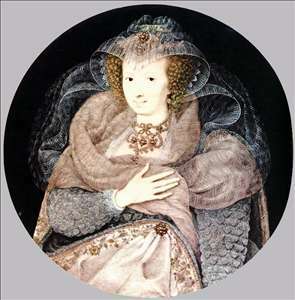 Although Hilliard continued to receive royal favour under James I Oliver was made Limmer to the Queen Anne of Denmark in 1604, and was patronized by Henry, Prince of Wales, and his circle. His style was more naturalistic than that of Hilliard, using light and shade to obtain modelling and generally dispensing with the emblematic trappings so beloved of the Elizabethan age. He was in Venice in 1596, and unlike Hilliard he did history paintings in miniature. Contemporary sources indicate that he probably also painted life-size portraits, and some of the pictures attributed to William Larkin have been put forward rather as possible works by Oliver. 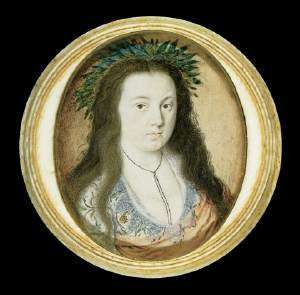 His son, Peter (1594-1647), continued in his style, but specialized also in miniature copies after the Old Masters. See more details about "Frances Howard, Countess of Somerset and Essex"
See more details about "A Lady in Masque Costume"